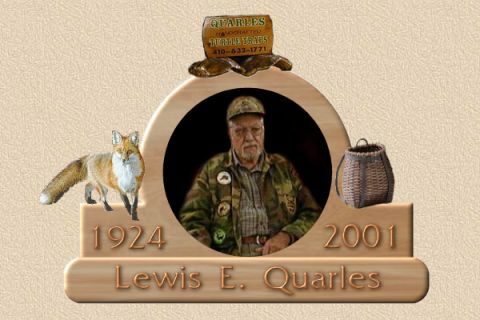 Lewis was very special to us all at Trapperman.com. His wit and generosity was only surpassed by his devotion to his family and God. His passing has left a large void in our ranks and will be missed greatly. 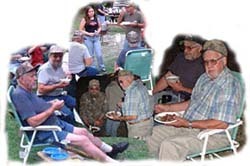 Here is a link to some archived posts by and of Lewis. 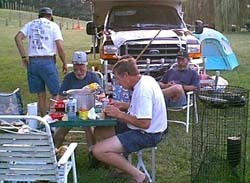 Here are a few pictures of Lewis. 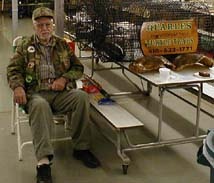 He loved to attend the trapping conventions and sell his turtle traps as well as fellowship with his trapper friends. 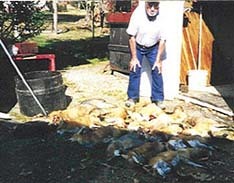 He was one heck of a fox trapper also. He had been catching over a hundred a year and this year he was on track to catch another hundred. We may say goodbye to you old friend, but you're not forgotten.